Australia’s leading Jet Fighter operation has launched another initiative program to bring the people of Queensland – Brisbane to the Hunter Valley to experience the ride of a life time in Australia”s modern L39 Fighter Jet. 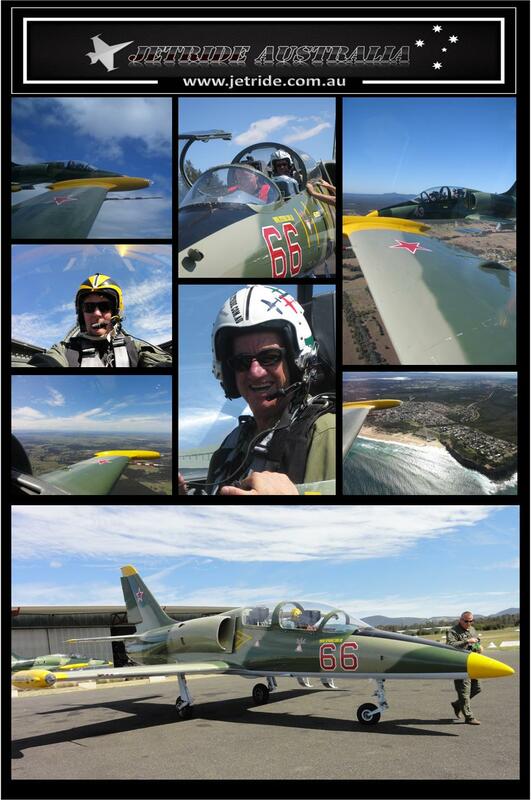 Jet Ride Australia specialise in air combat missions and combat strike missions Top Gun Style. Daily flights from Brisbane fly direct to Newcastle with domestic airlines Virgin and Jetstar . These flights will bring you up and back in the same day. Jet Flight Australia will transfer you to and from our Cessnock jet base. From the 9th of October 2010 All Queensland Travellers will receive a $100 travel bonus to come and fly the FASTEST RIDE IN THE COUNTRY.